As a follow-up to yesterday’s post about the importance of sharing, here are the Huffington Post’s top picks for teacher blog posts in 2014. I know I have my reading cut out for me this weekend! Everybody was blogging in 2014, and especially teachers. We asked The Global Search for Education editorial team and our blogging advisors to submit their favorite teacher blogs and blog posts from around the world…. This is a very good, impassioned plea for sharing from Silvia Rosenthal Tolisano (Langwitches Blog). Also, there are many ways to share. I like the blog format because, well, I’m long-winded. 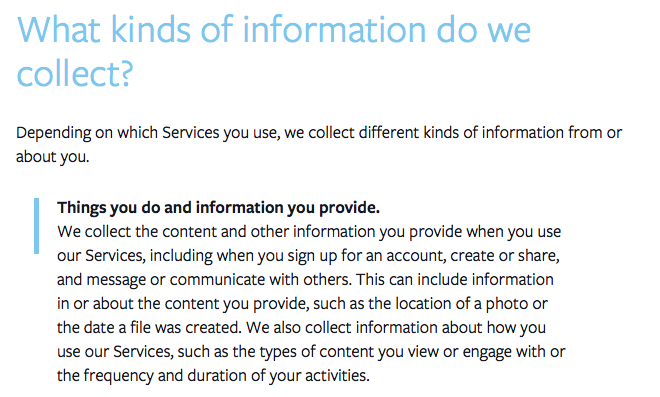 But perhaps your sharing might be best suited to the 140 characters of Twitter. Share your success and join the conversation! I found this article surprisingly enlightening. I am not one of those people who are especially worried about texting abbreviations being the large meteor that destroys our ability to write, but neither have I given much thought to the hidden benefits of texting either. Students may abbreviate and make up their own words, but they do so in grammatically correct and consistent manners. In fact, when they make up their own words, they’re subconsciously thinking about what kind of speech it is, and ordering it in their text accordingly. What’s more, when they’re abbreviating or inventing, they’re also paying close attention to the phonology of the word. That is, they’re keeping the letters they know they need to communicate the gist of the original world, or they’re riffing on a sound or concept in a way that will be intuitive for the other person to decode. Phonological awareness is directly related to our ability to read, and so texting can help both create and foster readers. There are also some very creative ways you can incorporate the language of texting in your classes. A few that stood out for me was using it to translate Shakespeare – how would Hamlet sound as text messages? I am also intrigued with the idea of using texting abbreviations for note-taking. Students are already finding ways to get meaning across in shorthand- why not use that same language for note-taking? Check it out- I guarantee you won’t see texting in the same way again! And it goes on. 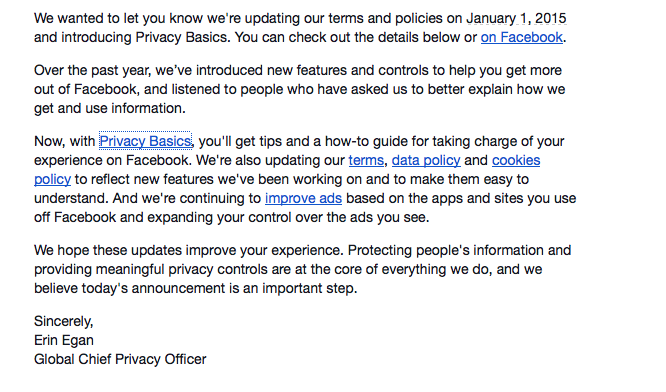 If you are a Facebook user, I highly recommend taking some time before January to read through their policy as well as their privacy tips. I know I will. Nous sommes là pour vous aider à vivre l’expérience que vous souhaitez. Découvrez comment protéger votre confidentialité sur Facebook. This article by Rachel Simmons (author of Odd Girl Out: The Hidden Culture of Aggression in Girls) highlights what is to me one of the more discomfiting uses of social media by teen girls – as a tool for for measuring self-worth and gaining approval by their peers (the ways in which this can backfire are numerous and terrifying). I know as a parent, the one thing I want for my daughters is for them to find self-worth in their actions and own inner mettle, not in the amount of likes they get on instagram. Yet certain aspects of social media lends themselves to the teenage brain- the heightened need for rewards (and likes are the best rewards). The insecurity and angst that are par for the course in puberty that makes it so they are in constant need of reassurance. So what can adults do? Honestly? Not much except be aware. Realise that the ways they are using social media is directly related to where they are at in their development. Banning it would be worse than useless. Denigrating it positively harmful. But having meaningful, non-judgemental conversations could go a long way to putting their online life into perspective. Most of us check out a company online before we decide where to spend our money. CBC’s Marketplace investigated how businesses can artificially inflate their online credibility through paid testimonials and fake reviews. Check out this wonderful article Alissa Sklar wrote about our social media policy (ok, ok, it is a bit of shameless promotion. So sue me…) And since I am already on that bandwagon, let me share with you a link to a reblog on our PD Gamification (It is a bit meta, but hey. It’s Friday We can get away with anything, right?). The wonderful mugs of Ms. Loupelle and Ms. Brown feature prominently on the Showbie website! Trafalgar School for Girls in Montreal shares its social media policy for students.